The sensation of walking through a garden, surrounded by a blend of blooming tea rose, ylang-ylang and lily of the valley that can only be described as perfection. 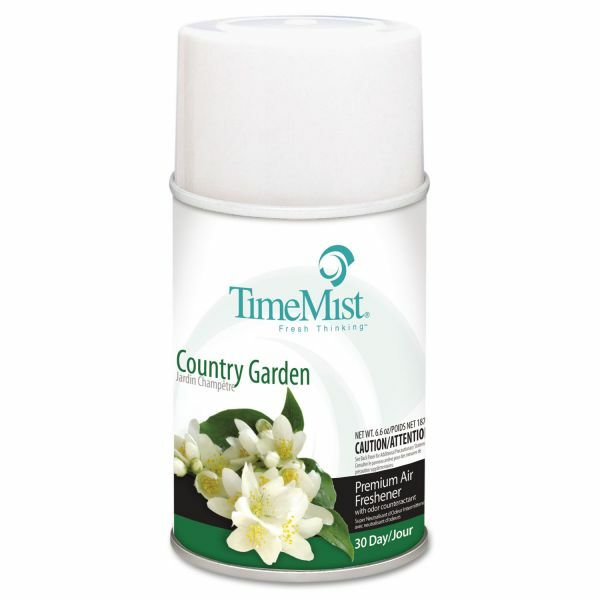 TimeMist Metered Fragrance Dispenser Refill, Country Garden, 6.6oz Aerosol - Use aerosol refill in TimeMist, Lite Mist and Encore Plus fragrance dispensers. Formulated to counteract odors and leave behind a pleasant aroma. Contains a low VOC formula. Effective for up to 9,000 cubic feet. Premium quality air fresheners contain uniquely formulated, long-lasting fragrances and effective odor counteractants that neutralize stubborn odors swiftly and provide lasting aromatherapy.